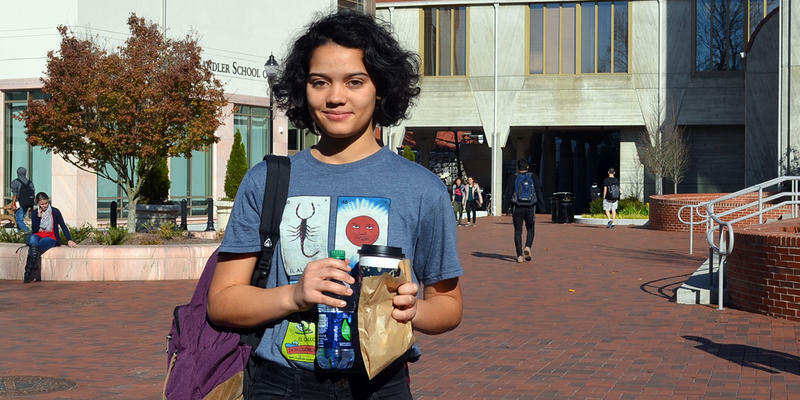 Emory University student Naman Gupta uses Yik Yak on campus. Last year, students requested that Emory ask Yik Yak for a geofence around the university and its Oxford College campus. The Atlanta-based technology start-up Yik Yak laid off more than half of its staff last week. The social media mobile app was big on college campuses when it launched in 2013, but recently it’s seen slow growth and faced backlash from users protesting hate speech and bullying. Yik Yak, which is like an anonymous version of Twitter, is used on more than 2,000 college campuses. With the app, you can anonymously post a comment or “yak” and everyone in your local geographic area can see, share and rate it with an up or down vote. Assistant Professor Amber Hutchins teaches communications at Kennesaw State University and is the assistant director for digital and new technologies education. At first, she said, the social media app was mostly positive. Students could post anonymously about dining hall food or things like depression and low grades. “But then there were, of course, a lot of opportunities for bullying and some other negative uses of the app,” Hutchins said. So in August, Yik Yak responded by requiring handles, or usernames. The usernames did not require users to reveal their identity, but some users were unhappy. “It was just long enough of a change for users to lose interest, and then they weren’t able to regain those users when they decided to go back to their original policy,” Hutchins said. Hutchins said it can be difficult for Yik Yak to find ways to monetize user’s data. “As many apps try to monetize, they oftentimes have to take a look at the things that are most popular about the site, anonymity and hate speech and some of the other things are not really congruent with attracting advertisers and building a business model,” Hutchins said. Georgia Tech Professor Amy Bruckman said she doesn’t think Yik Yak will be able to rebound completely to its original form and said it isn’t the only anonymous app losing money. Bruckman teaches a class on the design of online communities. She has studied how students use the app at Georgia Tech and launched a Facebook group called Meta-Yak for social media researchers to discuss the anonymous app. In Silicon Valley, this kind of startup reorganization happens all the time. That’s according to John Yates, a technology lawyer in Atlanta who works with venture capitalists who provide funding for many of these startups. “Successful companies go through these hiccups and you see companies pivot, and I suspect in the case of Yik Yak, laying off part of the workforce and probably rethinking the strategy is a natural evolution,” Yates said. Yates has watched Silicon Valley grow since the 1970s when his sister started a tech company there. He said Yik Yak’s setback is a sign of maturity for the tech startup scene in Atlanta. In a statement, Yik Yak CEO Tyler Droll said the layoffs were a difficult decision, but “in line with our key areas of focus.” The company downsized from 50 to just 20 employees on Friday.